This nickel plated steel, smooth-face suspender clip with opaque white reinforced vinyl strap is great for displaying ID or access cards. The metal clasp of the 2 3/8" long, white opaque reinforced vinyl strap closes securely around your slotted ID or access card. 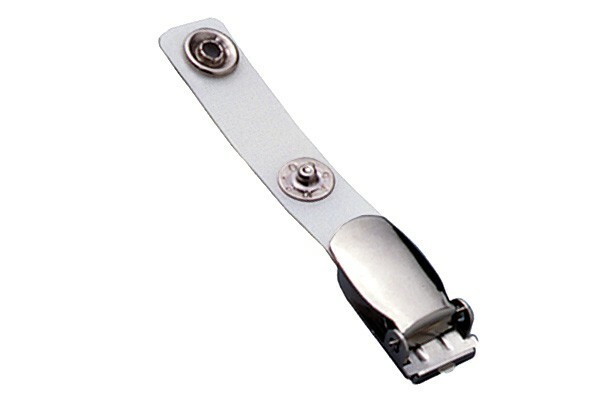 The nickel plated steel smooth face suspender clip allows you to safely clip it to your belongings. The opaque white, filament-reinforced, vinyl strap of the smooth-face suspender clip is 2 3/8" long.